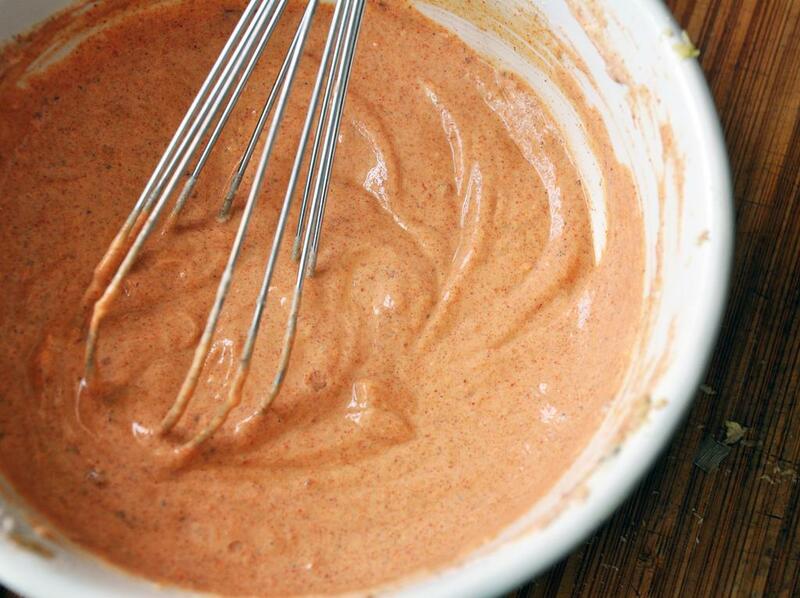 In a small bowl, combine yogurt, lemon juice, and all the herbs and spices (ginger through cloves). Combine all ingredients in a large ziploc bag. Seal the bag and shake to coat. 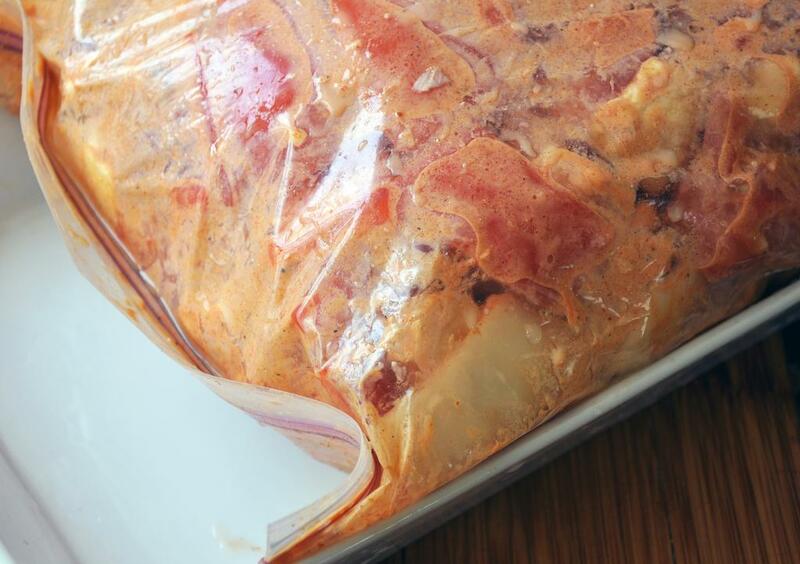 Marinate in the fridge for a minimum of two hours, and up to overnight. Turn the bag occasionally. Preheat oven to 500 degrees. 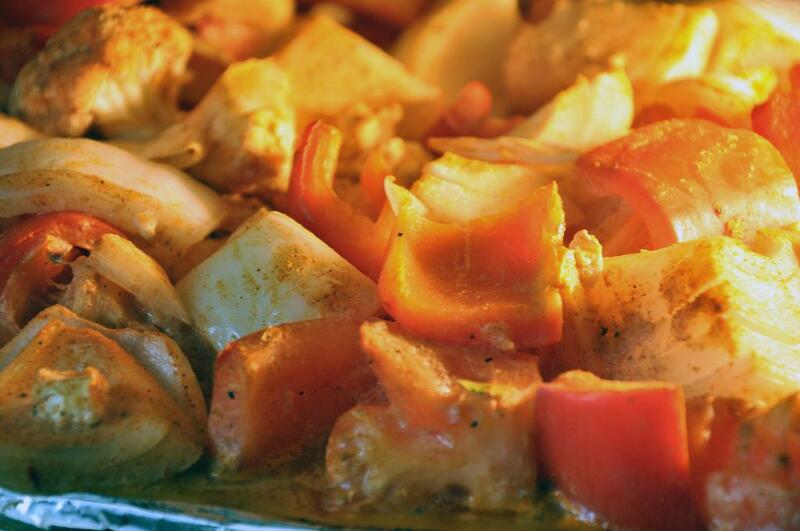 Lay out vegetables on a sheet pan covered with foil and sprayed with cooking spray. Bake for 25 minutes until broiled and blackened. 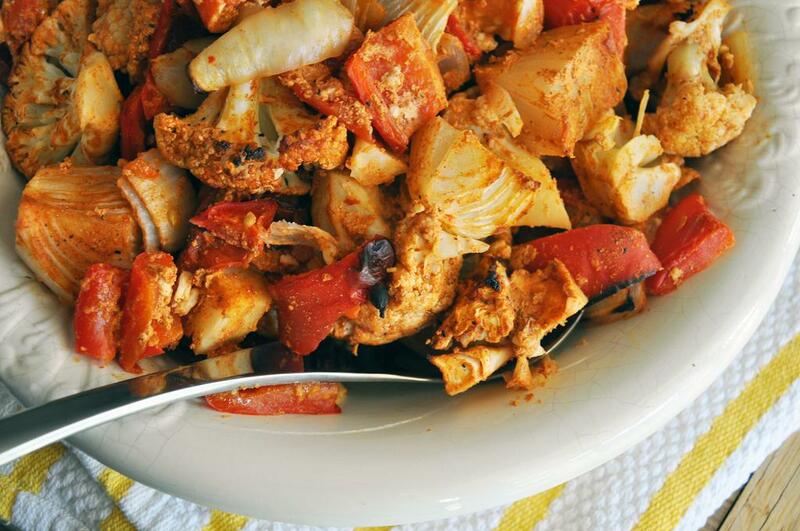 Serve with rice and naan.